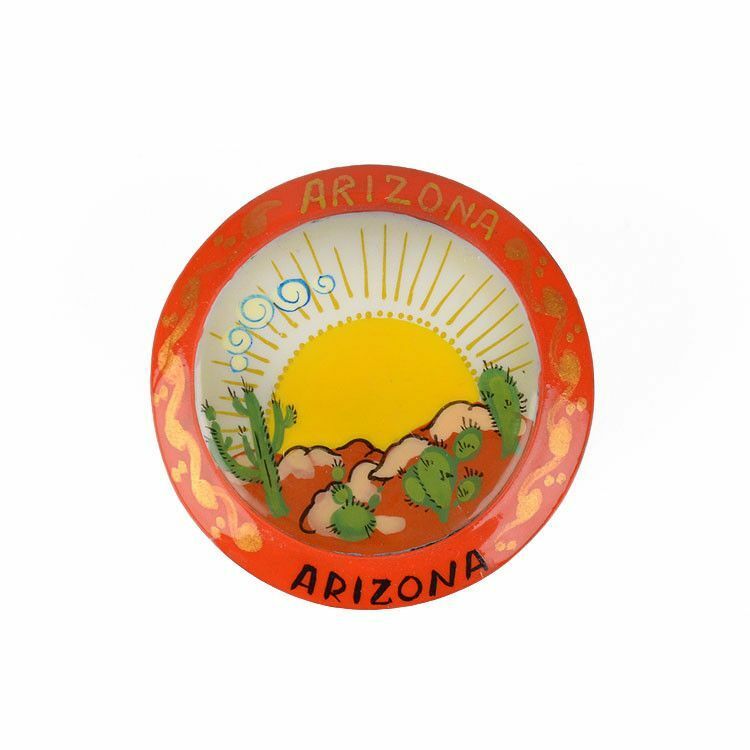 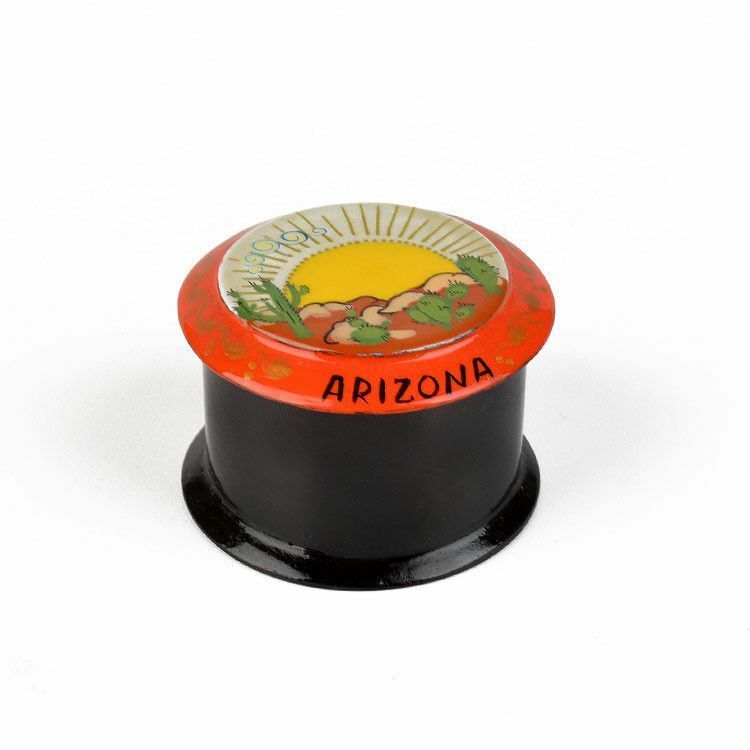 This cute little round box features an Arizona landscape including a sun, mountains, and cacti. 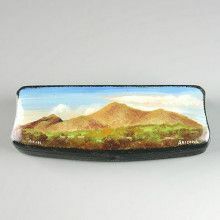 It was hand-painted by a Russian artist after being carefully crafted from paper-mache. 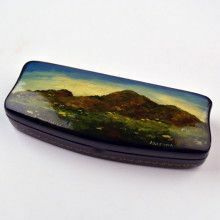 Layers of clear lacquer finish the piece, making it last a lifetime. 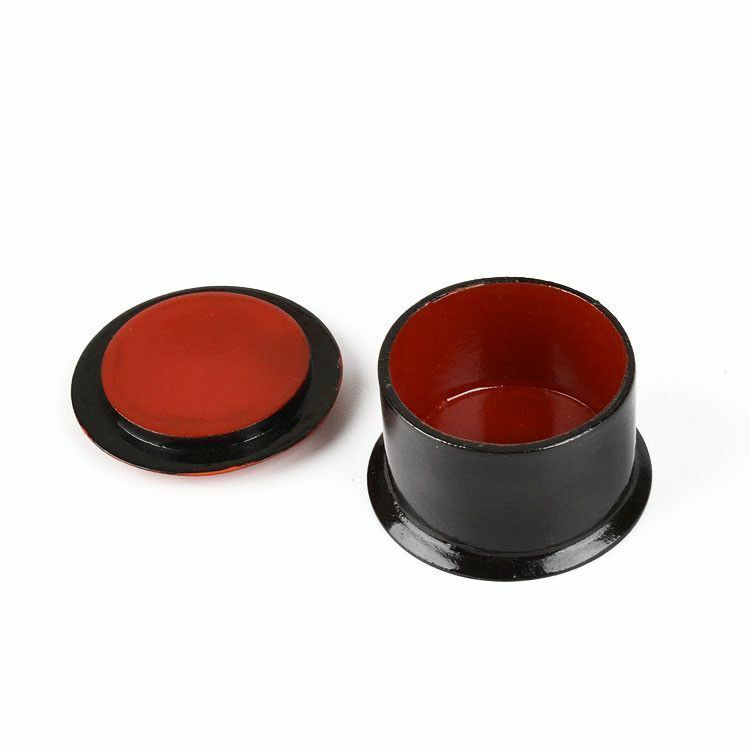 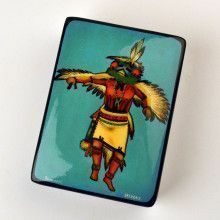 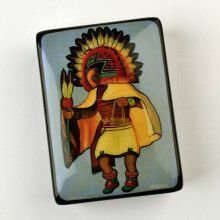 This unique box is 2" in diameter and about 1 1/4" in height.